We are driven by passion, technology, and hard work. For over three years consecutively, we have doubled in size by delivering world-class, intuitive, and fully-featured Web and Mobile, and automation solutions. Our clients include small local companies as well as large organizations. We pay extreme attention to quality control and practice a collaborative development approach to deliver better projects on time and within your budget. We pride ourselves on being honest, dependable and strive to provide clients with an amazing experience. Bwired was founded on the principles of always delivering best in class products. Our team has a single quality that ties us together, everyone loves what they do. Our design team seeks expertly crafted architecture, and visuals to accompany one of a kind user experiences. Our development team enjoys an elegant code that is semantic and rich. Not so different from our quality assurance team which strives to produce dependable projects that endure the test of time.
" The Bwired team has done a fantastic job for Skyjack. Going through a complete Website and Mobile App overhaul can be a very difficult process. Bwired re-developed and implemented our Website, E-commerce Application and Mobile Apps on time and, on budget and with great results. I truly recommend them! " We are selective recruiters and look for the right individual who fits our cultural ethos of diversity, integrity, passion, working smarter and working faster. We are a team you want to work with, a culture you want to be a part of, a company that inspires you. Dan brings over 15 years of experience in the digital industry with a strong understanding of technology, design and implementation. After freelancing as a web developer he founded Bwired in 2009. In addition to his experience, Dan holds a bachelor's degree in Hns Economics and Business Administration from Wilfrid Laurier University and is currently pursuing his MBA at the University of Illinois as well as the PMP designation. 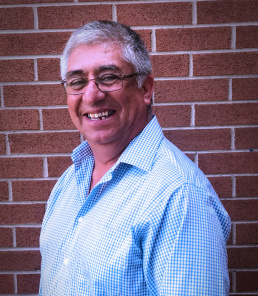 Antonio has over 20 years of accounting, finance, investing, corporate operating, and startup experience. At Bwired, he is responsible for sourcing, evaluating, and actively managing projects from a financial and feasibility perspective. He also delivers value through his extensive people management experience including the recruitment of high performance teams, and coaching, mentoring and training of staff. 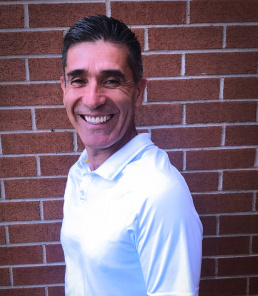 With over 23 years of experience hardware, software, connectivity and management, Roberto is well positioned to oversee projects form beginning to end. He’s produced multiple above-grade complex projects for both startups and major clients. 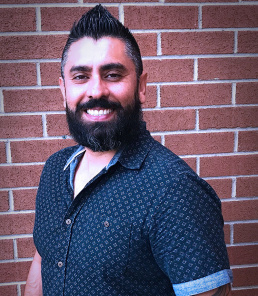 He holds a diploma in Biomedical Electronic Technology from Fanshawe College and is certified in Agile Software Product Management from the University of Alberta. To build a diverse team is a moral imperative and we build a better business and product by bringing different perspectives to the table. We look for voices unlike our own because they are the only ones that help us grow. Our customers have different needs from our own, so we always consider their perspectives to communicate effectively. We create the best product and services when we understand the people we are building for. Be passionate. Do what you love. Focus on impacts. Deliver results.